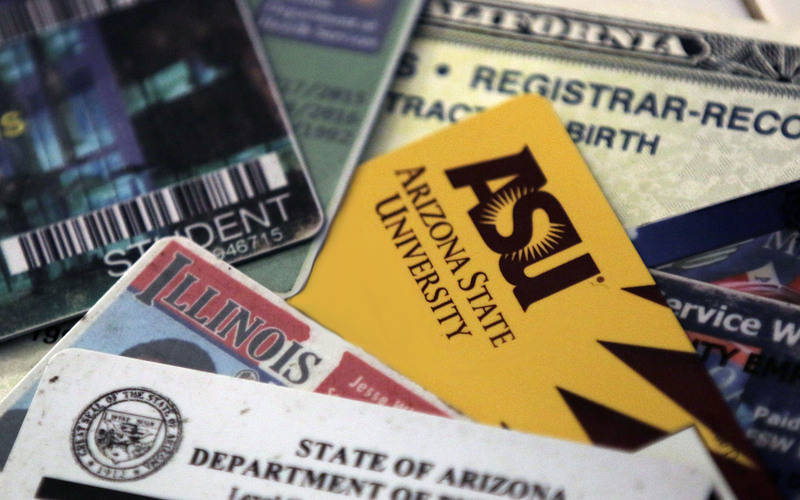 Some of the forms of identification that could be used to obtain a Phoenix ID. Phoenix IDs will be available February 2017. The Phoenix municipal ID, which is scheduled to launch in February, will allow city residents who don’t have the documents to obtain a state identification card to obtain a municipal ID that will allow them access to all city services, such as turning on water or checking out a library book. It also will serve as a valid ID when dealing with law enforcement. Hernandez said the city is still working on details of the program, but said the documents required to apply for the municipal ID will be less stringent than a what is acceptable for a state ID. The municipal ID card will not qualify someone for state services and cannot be used to apply for state identification cards. Hernandez said one of the biggest values of the card has is a sense of security when dealing with police officers. One of the concerns people had about the Phoenix ID was that if someone reported a crime and gave the responding officer his or her city ID it would be a red flag to the possibility that this person does not have legal status. The organizations that were pushing for the ID had to think of all of the repercussions. “When I started advocating for this, I myself was undocumented. That was a question we had to answer for ourselves … ‘Do we want to do this? Is it worth it?’ Some people were asking if it was going to be like a scarlet letter,” said Hernandez. But, she said, the good outweighed the possible bad. The ID can also benefit people in homeless shelters, women’s shelters and seniors or people with disabilities who can no longer get a driver’s license or state ID. The card will also give the holder discounts to shop locally and it can also be used as a library card. The city plans soft launch, including a campaign to bring awareness to the new Phoenix ID, in December and plans to begin the program by February 2017.